Every once in awhile, your lungs require an indispensable escape from the monstrous and life-taking city air. Nothing can do them more good, than basking yourself in the lullaby of mother nature. And hill stations offer an epitome of green-pure-nature. India is a land of legions of hill stations, both in the north and in the south of India. While the north is put on a pedestal by the tourism industry, offering various discounts and packages like the popular Uttarakhand packages, the Leh-Ladakh or the Kashmir packages, the south India is still yet to be accentuated. This article will let you dig into the obscure beauty of the quintessential hill station of southern India– Coorg. Discover mother nature in its most pure and pristine form at Coorg, a mystical hill station, drenched in the Teakwood and Sandalwood trees and the exquisite river Kaveri. 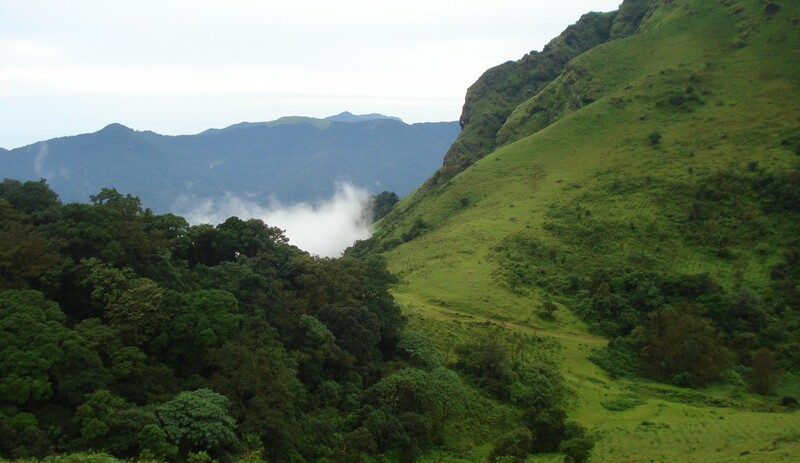 Coorg, also known as Kodagu or Kodava Nadu, is a district in Karnataka, located on the eastern slopes of Western Ghats. One is bound to leave dumbstruck at the heavenly charm of Coorg. This beautiful island is located 28 km from Madikeri. It is chained with cottages for travellers to stay ambiently. Nestled with Bamboo groves, and teak and sandalwood trees, it is an adored picnic spot. There is a beautiful dangling bridge, through which this island can be wandered. Various kinds of sports can be enjoyed in the water, like boating. Elephant riding is also a major tourists’ attraction. A 5 km smooth drive from the main town will land you in the vivifying falls– the Abbey Falls. Hitting the list of all the Coorg packages, these falls are 70 m high, and mingle in the Kaveri river in the end. A private coffee estate is located at the mouth of the falls. Monsoon is the best time to visit this place, as the roaring of water pleases one’s soul to the very core. If you are craving for a rejuvenating experience, you must visit these falls. It is a small, yet beautiful temple set amidst a square lake, which adds to its mind-goggling beauty. Situated in Madikeri, it is an amazing piece of Muhammadan style of architecture. It was built by the king, Linga Rajendra II in 1820. Legends has it, that the king, once put an innocent brahmin to death and after the incident the brahmin’s spirit continued to torment the king day and night. This temple, embellished with the Shiva Linga, was built to liberate the brahmin’s soul. The mere thought of Elephants wakes up a deep-slumbering child in us. Doesn’t it? Elephants are the kindest and the cutest creatures, despite their massive built. After a visit to this Dubare Elephant Camp, housing hundreds of elephants, one is forced to believe that even ‘big is beautiful’. Here, one can watch elephants being treated like little babies, from bathing them, to grooming, dressing and feeding them! Not only this, you can even see the ways these elephants are taught and learnt things. For all the animal lovers, especially elephants-lovers, no other place could better enable you to know and explore these pretty creatures. You can even catch an elephant ride here. Some other animals in this camp are, crocodiles, leopards, deers, bears, peacocks and many more. So, pull up your sleeves and tie your shoelaces to visit Coorg! Dimpy Roy is a travel writer working with an Online Travel Guide. She guides travelers to various resources where they can find best places to visit in Ooty and choose the best one.